Located 35 minutes from the Disney parks, exhibition centers of Villepinte and 1 hour from Paris, you will discover this charming house in a farmhouse, with its wooden deck to taste the pleasures of outdoor dining and enjoy the quiet places. 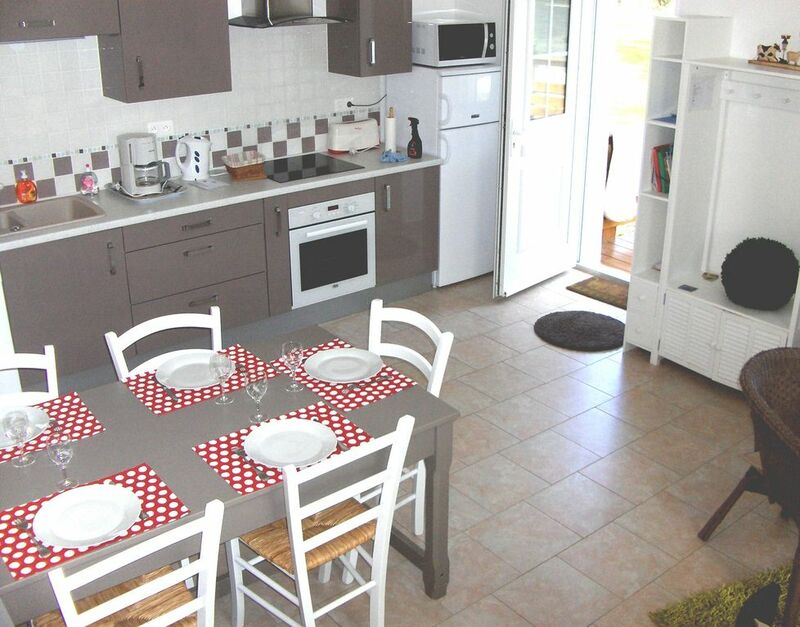 Brie House for 6 people, very comfortable and well equipped, we offer you since 2011. You have outside of a large wooden terrace of 30m2. We look forward to welcoming you for your holidays or business and are at your disposal for any further information. Great location for a family visit to Disney, which is about 30 mins away. It offers a quiet retreat with a very up together property, that we enjoyed during our short stay. Madame Durouchoux, was very welcoming. Thank you, Mr Davies, for your stay in our house. It was nice to meet you and your family and I am pleased you enjoy your short stay here. We stayed here for eight days this July and had a wonderful time. The house itself is so much nicer than the online pictures suggest. Firstly the setting is perfect - quiet and overlooking a superb manor house. The decking area is just right for a barbecue or early evening meal. Inside the house is also much more spacious than the photos suggest and beautifully furnished. Each room is decorated with taste and comfort. We are a family of five and the property is easily large enough. The kitchen has everything you would need and the bathroom is modern and spotless. We love this house and the warm welcome given by Madame Durouchoux. It really is an amazing hideaway. We spent most days either at Disney (an easy 35 minute drive) or in Paris (easy by train from Meaux) and coming back to this delightful property in the countryside was the perfect contrast. A 100% brilliant property at an excellent price. You can't go wrong! Five massive stars from us! and only 1 hour from Paris, Chantilly, Compiègne, Senlis. Beds are made on arrival, linen provided.